Whether you’re buying your very first DJ controller or getting a new one, the question “Should I go modular or all-in-one?” will come up. Deciding between these workflows can be an important choice, as both have specific advantages you may not be aware of. 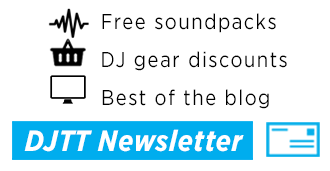 In today’s article, I will help you understand the key differences and advantages of each – and explore the conceptual debate of DJing on a mixer versus in DJ software. “All-in-one DJ controller”: A single controller that houses a sound card, mixing section, and deck controls in a single interface. “Modular DJ controllers”: Piecing together various controllers to make up a full control surface, and potentially using an analogue mixer and separate sound card. All of these controllers can be used by themselves to DJ with a laptop alone. All of these controllers generally require other devices such as mixers and sound cards for full DJ control. The first question to ask yourself is how much time you plan on spending DJing live. The reason is because requirements become very different in live environments and must be taken into consideration when choosing professional equipment. An all-in-one controller will probably be the best option for you. 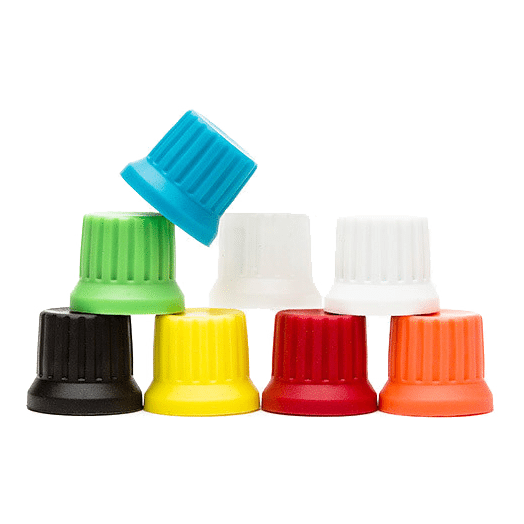 They are generally the most economical way to get started, portable, and easiest to use/set up. Just want to plug in and start mixing right away? The all-in-one console style systems are your friend, especially since packages like the Novation Twitch come with a controller, sound card and software. This is where it gets more complicated. The gear you want in a party environment will often be very different than a basic home setup – for reasons we’ll go into later. The gear you practice at home with should ideally also be the same style of gear you play on in public, so that the skills and experience translate smoothly into the club. Not always, but usually, a modular setup is better at that. This is the next important question you need to ask yourself. Do you want to mix inside software and use all virtual controls, or keep a little analogue flavor in the mix and run your decks out to a mixer? 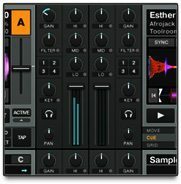 DVS DJs using Serato Scratch Live have to mix externally outside the computer by default, but Traktor Scratch users get the option of mixing internally or externally depending on your preference. 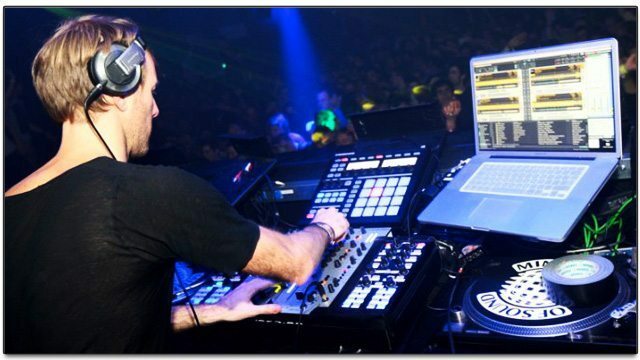 A great recent example of a Traktor Scratch DJ mixing externally is DJ Shiftee – check out his setup in Mostly Robot. In this case you need a multi-channel sound card, which I recommend be separate from your controller. Each deck or channel goes out on a discrete output and is then mixed on a “real” analogue mixer, just like any other DJ input including CDJs or vinyl. Since each deck needs its own discrete audio output. 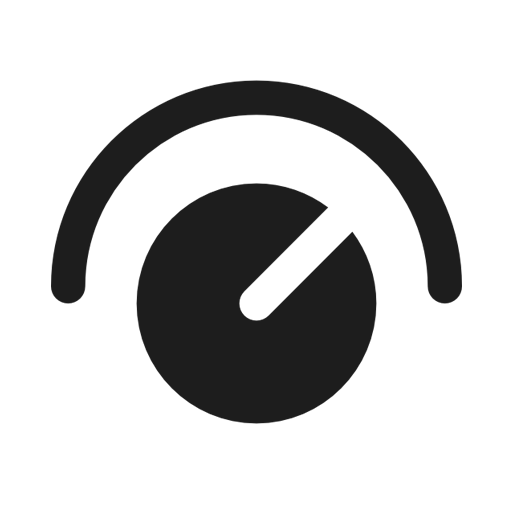 The correct sound card depends on how many decks you plan to run in parallel. There are a few benefits to mixing inside the computer with all signals mixing together there. Personally, I think that mixing in clubs using the real mixer is the best way to go. 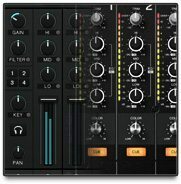 Therefore, your home setup should also have a mixer involved so the entire setup translates well. 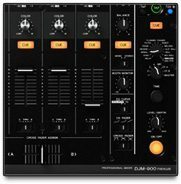 I prefer mixers like the DJM-900 Nexus (read my review here), which have four channels of USB audio available right on the mixer. Just plug in your USB cable to the mixer and four decks are instantly routed to each of the four faders on a house mixer. Very few people can afford to have a $1500 mixer at home, so I advise on getting an inexpensive 2-3 channel mixer in the $250 range for practice only. This next question is important. 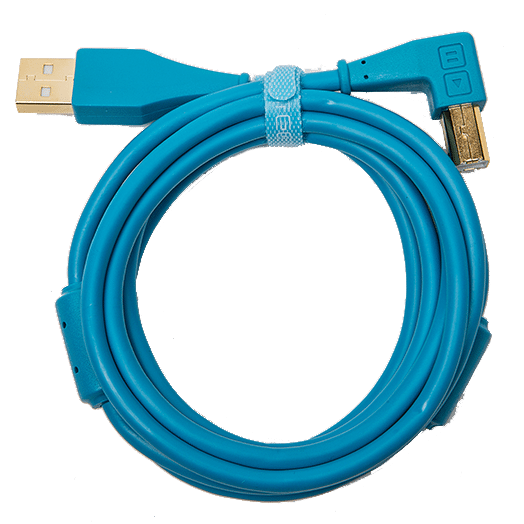 Should you buy a controller with a sound card in it, or buy a separate sound card with it’s own USB plug. This is a more subjective choice, but here are a few things you should know about them. Internal sound cards are often not the highest quality, and usually consist of a $50 sound card thrown in for marketing buzz. Native Instruments controllers are one of several exceptions, with the S2 and S4 containing the exact same sound cards as the Audio 2 and Audio 6. When buying an external, you can choose to pay for the highest quality audio converters possible without wondering what your all-in-one has under the hood. If your sound card and controller are combined, this may present a problem when there’s downtime. If the controller glitches (which they do sometimes), restarting it will require turning off the sound to the club – not good! 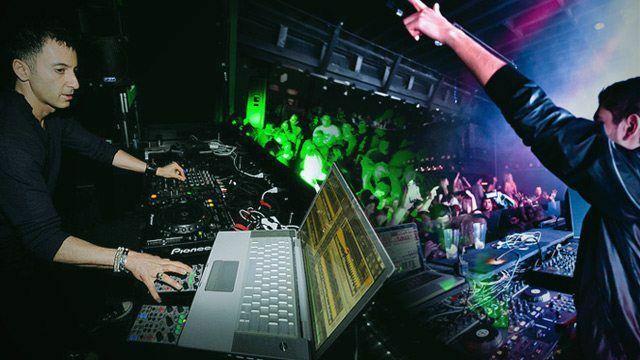 Keeping mission critical systems isolated is good for NASA and good for DJs too! Now that we have teased out the sound card and mixer issue, let’s ask the more simple question. Should all of your decks and effects controls be on a single surface or pieced together? A single uniform playing surface that is well-designed with all critical controls is very nice to play with. I’m a big fan of the Kontrol S2 for its simplistic ease of use. The VCI-400SE contains everything you could ever want in a single control surface, as with everything close to the mixer and tightly integrated, it could be easier to use and understand. This comes down to flexibility over time. If you want the ability to easily add more controls, take some away and slowly add more pieces at incremental $200 price bumps – then modular is fantastic. Pick the exact parts you need and add more over time without wasting money. 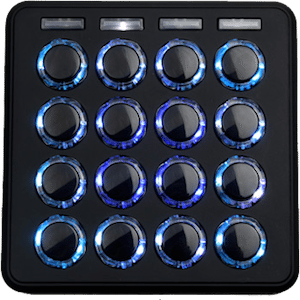 I am a big fan of minimal controls, and the Midi Fighter is a great modular example of that. 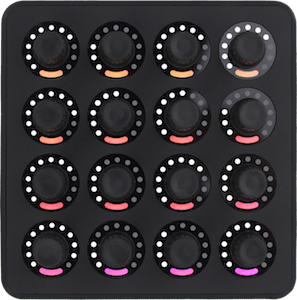 Personally I have one Midi Fighter per deck (using the deckalized mapping). If I want to play a simple gig with two decks, then two Midi Fighters make the flight. If its a big set with all four decks in the works, then all four controllers come along. In this particular case, since I use analogue mixers and only a few small modular controllers – my DJ bag is actually smaller and lighter than most all-in-one “singular” controllers. Just a few choice modular controllers, in many cases just one or two X1s and a standard analogue mixer. 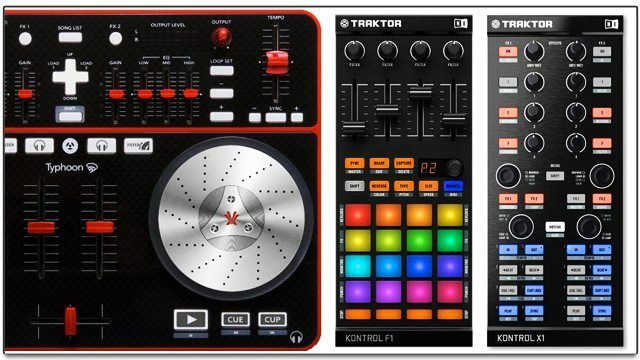 There is no clear cut answer on which model of DJ Controllers will be right for you as it depends on your personal style and how you want to play. That, of course, is the exciting part of this entire controller revolution! DJs can finally choose how they want to perform without being wedded to a single “industry standard” and express themselves creatively through whatever interfaces they want.